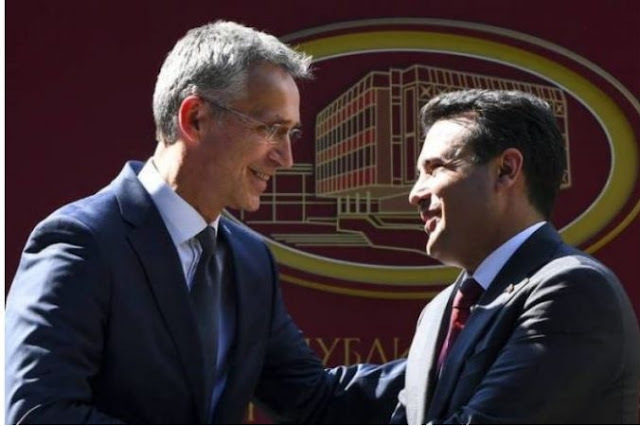 NATO's Secretary-General Jens Stoltenberg revealed that the signing ceremony of the document for the accession of North Macedonia to the Alliance will be held on February 6. "On February 6th, we will make the story: NATO Allies will sign the protocol for the inclusion of North Macedonia...," Stoletenberg wrote on Twitter. After the ratification of the Prespa Accord in Macedonia, and then in Greece, the last obstacle to the country's membership in the North Atlantic Alliance is removed, almost 11 years after the Greek blockade at the Bucharest Summit in April 2008. The signing ceremony will take place at the NATO headquarters in Brussels, in the presence of Foreign Minister Nikola Dimitrov. 29 ambassadors of the member states will sign the protocol, after which Macedonia will be able to participate in all "key formats" of the North Atlantic Council. As the Slovenian ambassador to NATO Jelko Kacin explained in an interview to MIA, Macedonia will not be able to attend meetings where the most sensitive information is exchanged, until it becomes a full member. After signing the accession protocol, each NATO member country will have to ratify Macedonia's membership, a procedure that can last for a maximum of two years, though the expectations are that this should be completed in early 2020, perhaps even at the end of this year. Countries like Canada and Belgium have even longer and more complex ratification procedures. According to diplomatic sources in Greece, it is expected that Athens ratifies Macedonia's membership by the end of the following week, on February 8. After the signing of the protocol by the 29 member states of the Alliance, the flag of North Macedonia together with those of all member countries will be established at the headquarters of the Alliance in Brussels, while the country's permanent diplomatic mission should also be transferred to the new offices along with other members.